If you’re looking for excellent service and a people-friendly approach, then you’ve come to the right place. 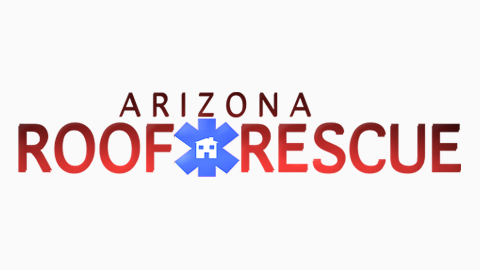 At Arizona Roof Rescue, our ultimate goal is to serve you and make your experience a pleasant one, and our team will stop at nothing to ensure that you come away more than satisfied. Please see our list of services below. Missing or broken tiles on your roof can become a major issue by creating leaks. This can lead to wood, drywall and paint damage, and high costs associated with these extra repairs. Roof maintenance is imperative for the proper operation of your roof drainage, debris on your roof can create obstacles keeping water at a stand still in gutters and dead valleys on your roof with a potential to create leaks and damage to your roof. Proper maintenance on tile roof will increase the life of your roof for many years to come. Repair and replace missing and or broken shingles due to wind sun or age damage immediately after noticing to avoid any further damage to underlayment materials and wood. Shingle roof maintenance is also highly recommended to elongate the life of your roof, checking and re-sealing all roof penetrations as required as well as keeping your roof debris free. There are a few different types of “flat roof” although they’re all share the same description, they are quite different from each other, foam roof being one of the most typical for flat roof dwellings is is also the most energy efficient And also the most expensive to replace. Therefore a proper maintenance is imperative to get the most of your foam roof investment, leaking a/c units, swamp coolers landscape debris and clogged scalpers can cause major damage to your roof. A complete clean up and inspection for small cracks is recommended 1 to 2 times per year, and a re coat every 5 years. This simple maintenance will increase the life of you roof avoiding complete replacement for 20 to 25 years. Mostly typical for covered patios it is also used on flat roof homes, while all flat roofs require the same maintenance and clean up recommendations the inspection for each is a bit different. Rolled roofing needs to be carefully inspected throughout including all joints and overlaps for small cracks, and be repaired immediately before underlayment and wood is damaged.